National Security Committee chairman Zsolt Molnár (MSZP) told state news service MTI that extremist movements and armed paramilitaries, as well as remaining questions over an Azeri-Hungarian money-laundering scandal, will appear on the committee’s agenda in coming sessions, index.hu reports. 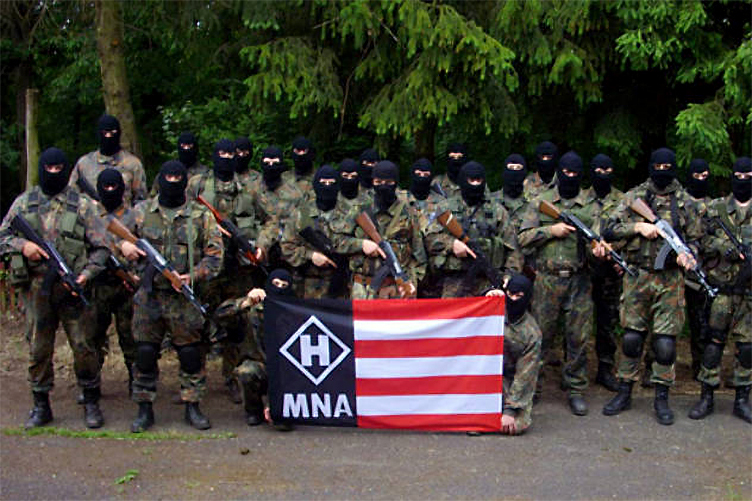 Molnár identified extreme-right organizations Hungarian National Front (Magyar Nemzeti Arcvonal), 64 Counties Youth Movement (Hatvannégy Vármegye Ifjúsági Mozgalom), and the Outlaws’ Army (Betyársereg) as organizations which should be examined to determine whether they are conducting activities that threaten the rule of law. He also revealed that controversial mayor of Ásotthalom and Jobbik vice-president László Toroczkai had been summoned to the committee’s next meeting to explain his involvement with the groups. Hungarian National Bank governor György Matolcsy and Secretary in charge of tax affairs at the Ministry of National Economy András Tállai will also be called to a committee session to answer questions regarding the sudden transfer of around USD 7 million to a Budapest-based bank account from an Azeri-owned offshore company right around the time Hungary extradited a convicted Azeri murderer to Azerbaijan. (Read more about that important and fascinating case here, here and here.) The two men will be asked what they are doing to improve transparency and prevent money laundering in the banking sector.